A new year is meant to offer a clean slate full of new possibilities. But with anxiety at an all-time high and 33 percent of Americans living with extreme stress, for many people, the new year can feel overwhelming. This is often due to the pressure we put on ourselves to set goals, make promises and achieve success. As a result, we allow our emotional well-being to fall by the wayside. When really, it should be our main focus and the one promise we try our hardest to keep. Of course, rather than a goal that needs to be ticked off, focusing on self-love and emotional well-being is a work in progress. Often, it’s something that you may need to be guided through. And, there’s no time like the present to begin the process. For other ways to get this year off to a great start, here are some of our top picks for New Age self-improvement books. Are you drowning in endless to-do lists? If so, put those to one side and pick up ‘How to Get Sh*t Done’ instead. For those of you who start every year, month or week aiming to be more productive, life-changing self-help books don’t come much better than this. So, what’s the secret? Well, we don’t want to give it away but the first step involves giving yourself a break! That’s right, at the core of this book is the concept of doing less to do more. Author Erin Falconer explains how to off-load all the non-essential tasks you’ve somehow taken on, and to shift your focus onto the more important parts of your life. So simple, and yet so effective! Although Thich Nhat Hanh wrote this book years ago, it could not be more appropriate to the present time. Which is why it’s often considered one of the best self-development books ever. In ‘The Miracle of Mindfulness’, the Vietnamese Buddhist monk offers his insights into meditation and how to be more self-aware. It encourages you to think about simple activities and sensations, such as the steps you take, and the feeling of your feet against the Earth. In this sense, the book celebrates that which is too often taken for granted. But, by considering how amazing it is to be living and breathing, you too will begin to appreciate these miracles and practice gratitude. Judging, shaming, criticizing. Whatever you call it, other people’s negative opinions and comments all play a toxic role in our lives. And, all too often, it’s women who are the targets of this judgement. As such, ‘Judgement Detox’ by Gabby Bernstein is one of the best self-help books for women around. That’s because it teaches us not to become separated from the life we’re meant to lead due to these negative perceptions. Follow Gabby’s lead and learn how to eliminate the effects of negativity. And instead, reap the rewards of positivity in your life, from better health to more fulfilling relationships. As the author of best-selling self-help books such as ‘The Power of Now’, Echart Tolle’s latest book is equally thought-provoking and insightful. In ‘A New Earth’, he goes beyond mindfulness to consider how to turn suffering into peace. The book addresses all kinds of suffering, from grief and sadness to feelings of jealousy. And from this, it shows how to see life from varied perspectives beyond your suffering. What’s particularly interesting about this book is how it also serves as a reference point. At different times in your life you’ll experience all these types of suffering and will be able to go back to it in times of need. As such, it has the potential to awaken you to your life’s purpose and provide true guidance through suffering. This book says it all in the subtitle, which reads, ‘How to stop worrying, relieve anxiety and eliminate negative thinking’. If that sounds like the kind of advice you need then this is the self-improvement book for you. What fans of ‘Declutter Your Mind’ love about the book is how practical and hands-on it is. Unlike some self-help books, it goes beyond offering a sermon on mindfulness. Instead, it features exercises, tips and tricks to engage your mind and change your way of thinking, in addition to calming techniques for an overactive mind. It’s also full of insights into the causes of mental clutter as well as strategies to help with difficult relationships and setting goals. And, it highlights the importance of meditation for those feeling overwhelmed with stress, anxiety and worry. Self-help books for young adults don’t get much better than this offering from Sean Covey. If the title sounds familiar it’s because Sean Covey’s father, Stephen Covey, wrote the book, ‘The 7 Habits of Highly Effective People’ way back in 1989. In this spin-off for teenagers, Sean Covey gives the original a modern update to help young adults apply the same principles in their formative years. The book covers topics such as friendship, bullying, peer-pressure, internet safety, bullying and body image. And, as well as valuable insights, the book includes brainstorming ideas, quotes, cartoons and stories from real teens. This helps to break up the text and makes the book more appealing to younger audiences. As these New Age self-improvement books show, there’s a range of concepts, practices and schools of thought when it comes to the best ways to help us reach our full potential. 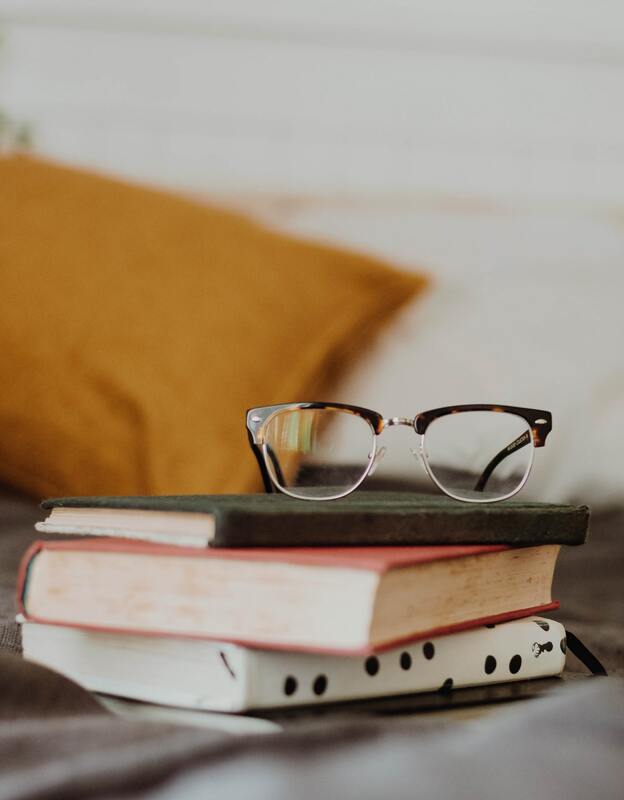 As such, whatever you’re looking for, from greater self-awareness to more practical life advice, these books can be a source of help and inspiration. Although sometimes, personalized advice tailored to your own specific needs can be much more illuminating. For an even deeper insight, come and chat with one of our licensed psychics today!